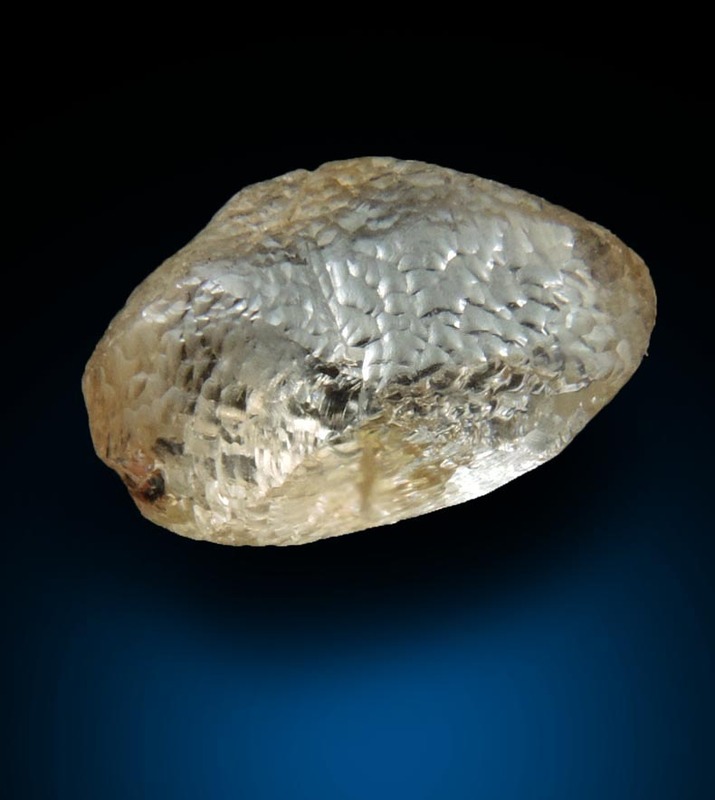 Uncut Rough Diamond Crystal No. 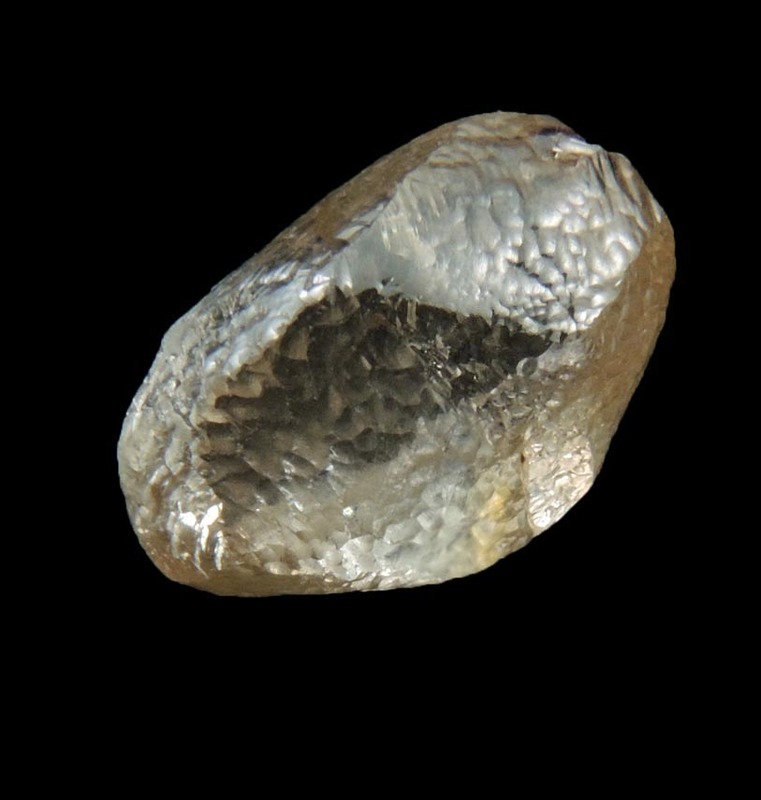 72836: Diamond (1.87 carat cuttable pale-brown elongated rough diamond) for sale from Northern Cape Province, South Africa. 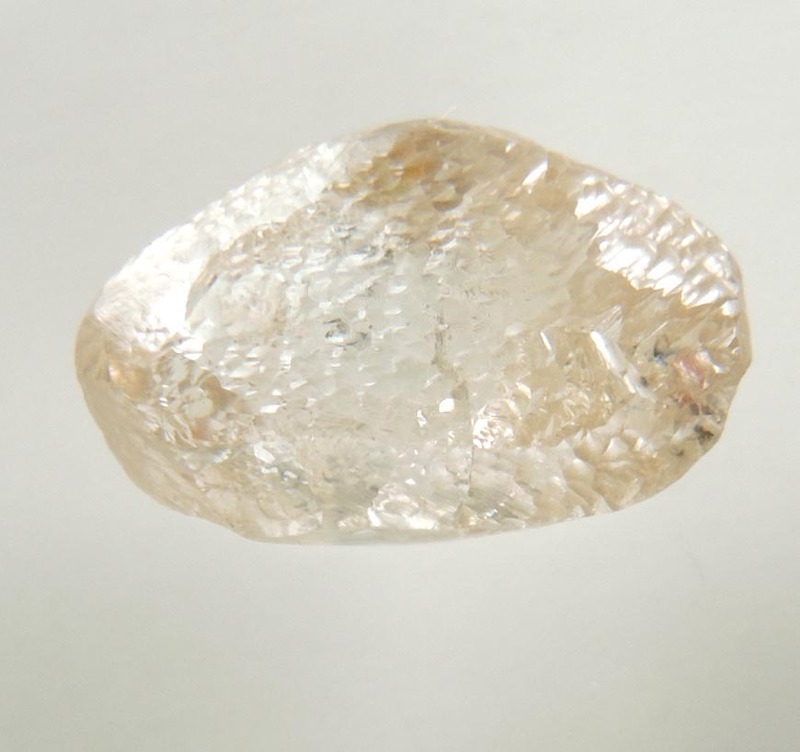 Diamond (1.87 carat cuttable pale-brown elongated rough diamond) for sale from Northern Cape Province, South Africa. 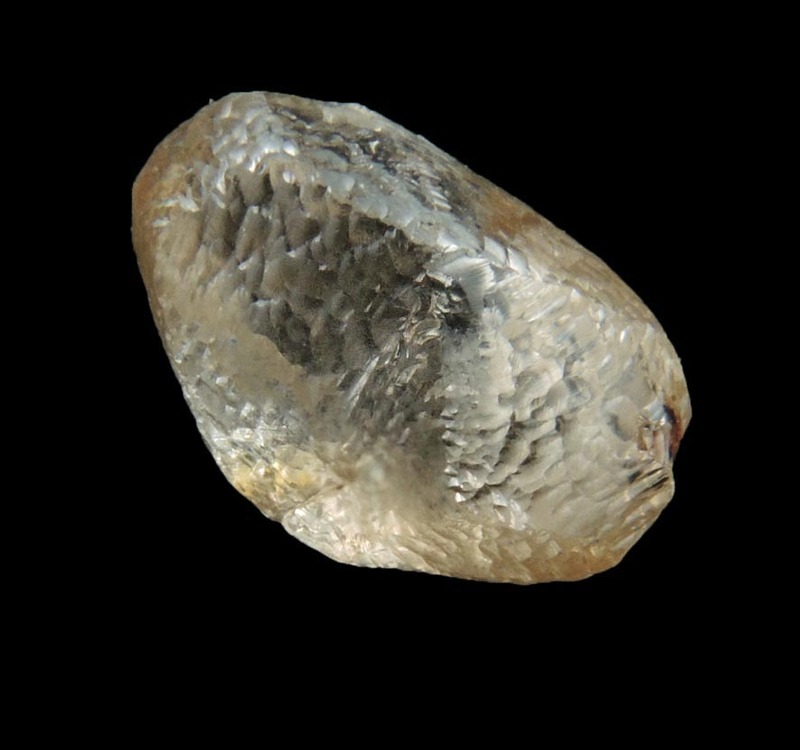 Mineral Species: Diamond (1.87 carat cuttable pale-brown elongated rough diamond). Location of mineral deposit: Northern Cape Province, South Africa. 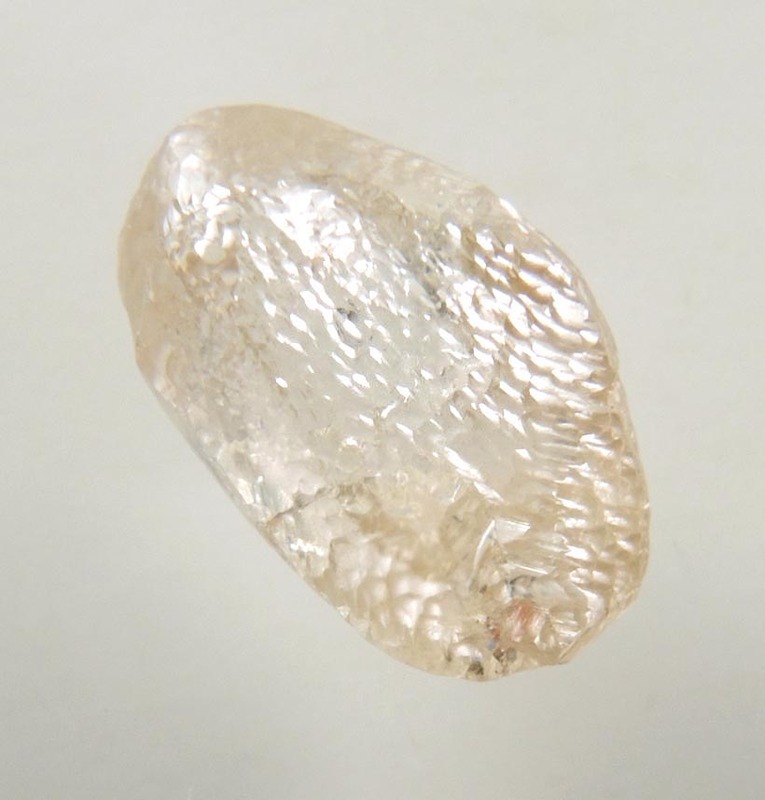 Description: Lustrous transparent pale-brown natural rough diamond with elongated teardrop form and faces composed of many smaller parallel faces. 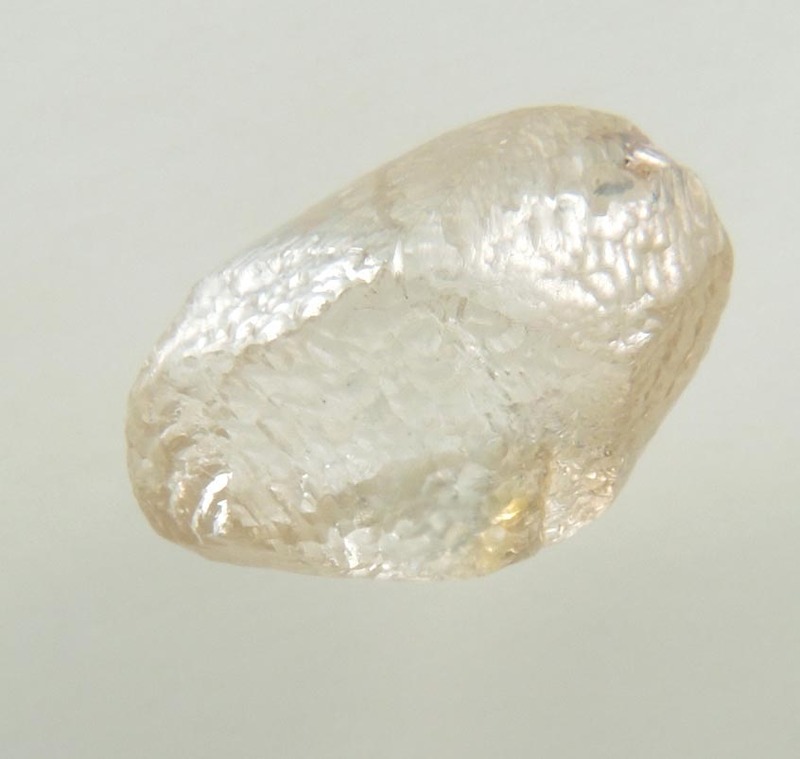 Internally the diamond has a small inclusion near one end, the remaining parts are flawless with good sparkle. No damage. Overall size of mineral specimen: 9x6x4 mm. Price: $2055 net (plus shipping).